Modern art, experimental live music and a dance party: These are a few of the things you’ll find at MoMA PS1 on Saturdays through Sept. 6. On Warm Up Saturdays, tickets are $20 at the door ($18 in advance), and the party goes from 3 to 9pm. If you want to see art while you’re there, arrive earlier (doors open at noon), because a couple of the exhibits close at 3 pm. Housed in a former school building, this outpost of the MoMA in Long Island City, Queens, is easily accessible by subway. There are several artists on display this summer, including the Austrian Maria Lassnig, a contemporary painter who focuses on “body awareness” to portray her inner world; Korakrit Arunanondchai, whose installation at MoMA PS1 includes a lounge where you can relax on floor pillows while you take in the art; and Gavin Kenyon, who created his largest sculpture to date specifically for the MoMA PS1 gallery. This won’t be your typical school experience: As you walk through the hallways, you’ll hear the music blaring outside, and if you look out the window onto the patio, you’ll see the crowd start to form as the party gets going. 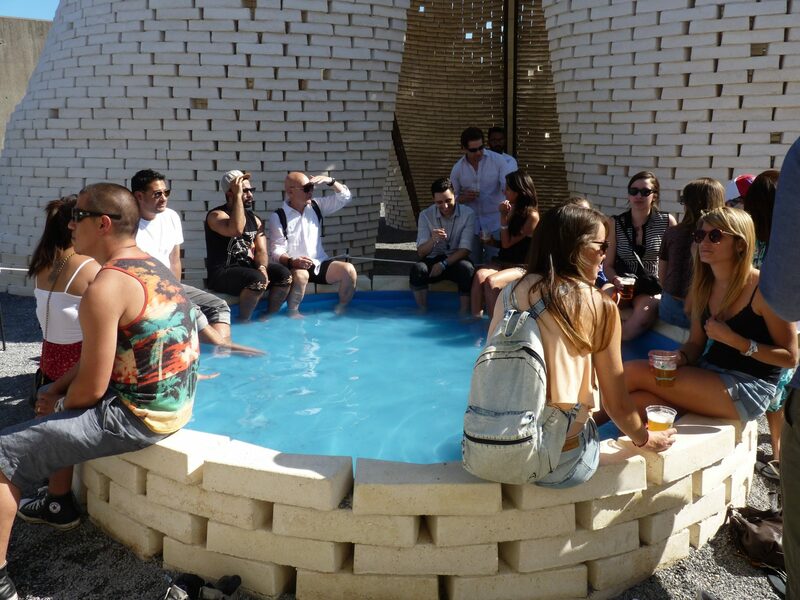 If you want to skip the museum visit altogether, you can hang out outside with a drink, and even get your feet wet in the mini pool. On display in the school yard is a giant circular tower made entirely of organic and reflective bricks, created by architects at The Living, who took first place in the most recent Young Architects Program in New York. Tip: Long Island City Residents receive one free ticket per event with proof of residency.